The future of hearing protection. A pill. As you might be aware, there is a loudness of noise which your ears cannot be protected against. Your body’s system of preventing the sound waves from entering your ear are just too much for it to handle. As the noise (sound pressure) hits your inner ear the bones convert the physical energy (noise) into a chemical & neurological process so you are able to hear. Ear plugs and ear muffs are not sufficient enough to protect against the amount of noise exposure. However! Sometime in the future we might have a pill to prevent this type of hearing loss. Researchers have found that the chemicals, D-methionine, ebselen & N-acetylcysteine, battle chemical stress on your ears. We are still a long way from being able to take a pill to avoid hearing loss. They must go through more testing and the FDA approvals. Do we need a hearing conservation program? Comments Off on Do we need a hearing conservation program? First, the rules. 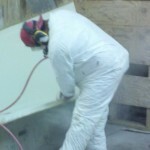 OSHA does NOT have a specific construction standard for hearing conservation. Why does this matter? Well, the current OSHA rules state that if you have 1 day (that’s only one day) of average noise level above an average of 85 decibels A-weighted (dBA), called the Action Limit, you are required to start a program. 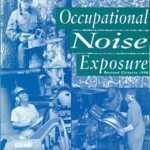 Obviously noise levels vary on construction jobsites. I’d guess that most projects have at least one day of levels above 85dBA’s. And, these particular OSHA rules are terrible. Well, they are terrible if you care about your hearing. (see my earlier post). The rules are simply not protective enough. If you are exposed to noise for 8-hours a day at 90 dBA (the OSHA average exposure limit) you WILL have hearing loss (this is without hearing protection). Does that seem like a very protective rule? I’ve heard talk about them changing it, but…I doubt it will ever happen. Third, consider your employees. Having their hearing checked may seem like a hassle and a worthless exercise, but, some will appreciate it. I’ve found that employees like to know how they are hearing. It’s good if your employer cares how well you hear. It’s also a yearly reminder in hazard awareness to noise. Because in construction, we know there’s noise! If you’re dead-set on NOT having a program, you’ll need documented noise dosimetry for each employee, job task, and possible overexposure above 85 dBAs. It is possible for a construction company to avoid having a program, but you have the burden to prove there isn’t noise. Call your favorite industrial hygienist for help. Rules are Good. Rules are Bad. As I have said in an earlier post, some OSHA, EPA, and MSHA rules are a good fit. They blend well with health research, scientific technology, good practices, and a low-cost-of-compliance for employers. Other rules are just bad. They are totally out of date, not protective enough, or just not feasible/practical. Here’s my plug for a good safety manager/industrial hygienist – A good one will know which rules/guidelines to follow. The New York Times (July 19, 2012, Cara Buckley) recently wrote an article on the US noise standards which are not protective enough for employees. In construction we also have three additional problems. work shifts are usually over 8-hours. Noise exposure is usually calculated on an 8-hour time weighted average. During the busy months, an 8-hour work day is rare. It’s at least 10, maybe 12-14 hours. This doesn’t allow your ears to “rest” between shifts. For more information on extended work shifts go here. extracurricular activities contribute to overall hearing loss – my point is that most construction workers don’t sit at home at the end of their shift. Almost everyone I know in construction is involved in one of these activities: hunting, shooting, motorcycles, water sports, yard work, cars, wood working/cutting, concerts, music, etc. Each of these activities contribute to their overall hearing loss, and again, doesn’t allow your ears to “rest”. …which reminds me that I need to keep a set of ear plugs in my motorcycle jacket. Why do I have to wear the monitor (dosimeter)? Can’t we just place it in the middle of the area? Ideally we want the dosimeter to measure the individual exposure. Many factors influence the average noise level, including work practices, location (sound bouncing & dampening), height, proximity to others, equipment, etc. What is the dosimeter actually measuring? A dosimeter measure the sound pressure level, measured in decibels A-weighted, dBA (usually). It can record this level and average it (usually) for every 1 minute period. The amount of information it gathers is staggering…and confusing. What if we work a longer shift (more than 8 hours) will the results of the noise monitoring be the same? Yes, the results are (usually) given as an average. So, in theory, if you measure the noise for 15 minutes and it is the same for the next 7.75 hours, it should be the same. 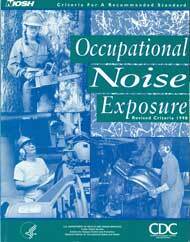 However, if you work more than 8-hours a day OSHA actually decreases the amount of noise you can be exposed to. They have a table (G-16) that attempts to explain it. If you know the average level of noise (say it’s an average of 95 dBA 8-hour TWA), then you can determine the time you are allowed (answer: 4 hours). How often should noise monitoring be performed? There is not a specific rule from OSHA on how often you must monitor. However, the guideline is yearly. Or if/when significant changes occur “which might effect the results of this testing” (I always use this statement in my reports). Which individual employees should have their noise level measured? It is best to let the industrial hygienist make this determination (there are several good reasons). If you are just starting out, they will often choose an average, or those who might have the highest noise level exposures. I’m wearing hearing protection, why don’t they take that into account when they determine the average readings? 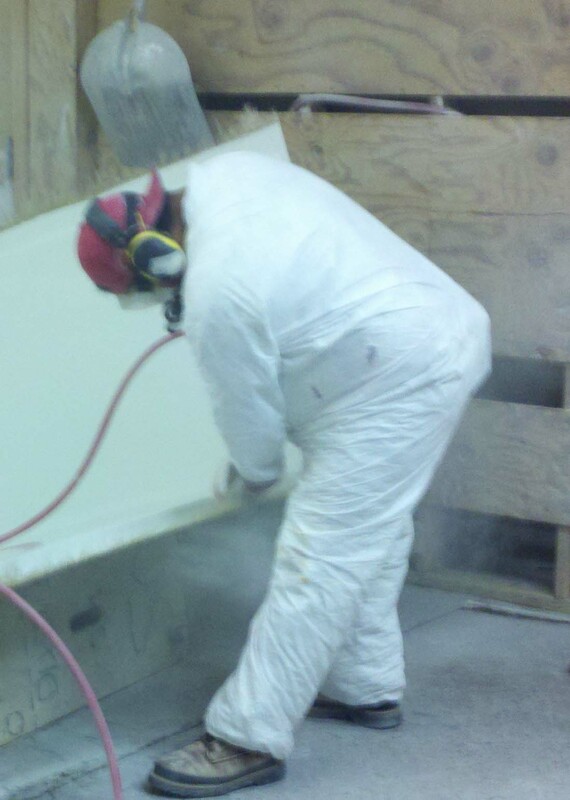 Your exposure is determined without regard to the specific type of hearing protection used. If you are wearing the wrong type of hearing protection, or if it is worn incorrectly, you could still have this exposure. Industrial Hygiene in Construction is powered by	WordPress 5.1 and delivered to you in 0.561 seconds using 31 queries.